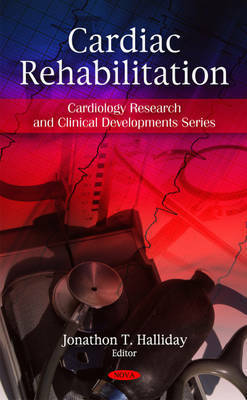 Cardiac rehabilitation (CR)is a branch of rehabilitation medicine dealing with optimising physical function in patients with cardiac diseases. CR services are generally provided in an outpatient setting as comprehensive, long-term programs involving medical evaluation, prescribed exercise, cardiac risk factor modification, education and counselling. While the "glue" of cardiac rehabilitation is exercise, programs are evolving to become comprehensive prevention centres where all aspects of preventive cardiology care are delivered. This includes nutritional therapies, weight loss programs, management of lipid abnormalities with diet and medication, blood pressure control, diabetes management and stress management. Patients typically enter cardiac rehabilitation in the weeks following an acute coronary event such as an myocardial infarction (heart attack), coronary bypass surgery, coronary stent placement or replacement of a heart valve. This new and important book gathers the latest research from around the globe in the study of cardiac rehabilitation and highlights such topics as: cardiac rehabilitation in women, deep vein thrombosis after cardiac surgery, cardiac rehabilitation in children with congenital heart disease and others.